John Butcher festeggia pubblicamente i propri sessant'anni con due giorni di concerti al Cafe Oto londinese: in sua compagnia ci sono Rhodri Davies, Magda Mayas, Angharad Davies, Gino Robair, dieb13, Guillaume Viltard, Dominic Lash, Olie Brice, Adam Bohman e Tony Buck. Auguri! 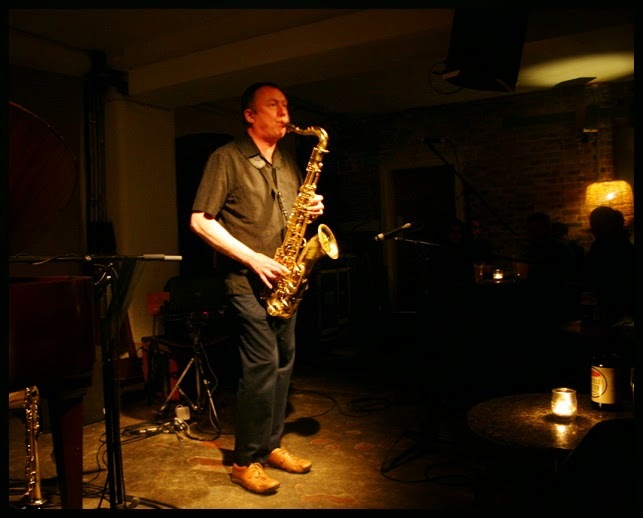 A very special two-day residency to celebrate the 60th birthday of one of the greats of improvised music - John Butcher. Featuring a line-up comprised of some of Butcher's closest and most long-standing collaborators as well as some brand-new groupings brought together specially for these two days, this should be a unmissable celebratory residency for a musician who has provided a whole host of highlights at Cafe OTO. John Butcher is a saxophonist of rare grace and power, who has expanded the vocabulary of the saxophone far beyond the conventions of jazz and other musics, to encompass a staggering range of harmonics, multiphonics, overtones, percussive sounds, and electronic feedback. But his playing is far more than merely an array of special effects: it's characterised by an intensity that propels it into strange new places that are both incredibly beautiful and deeply exhilarating.